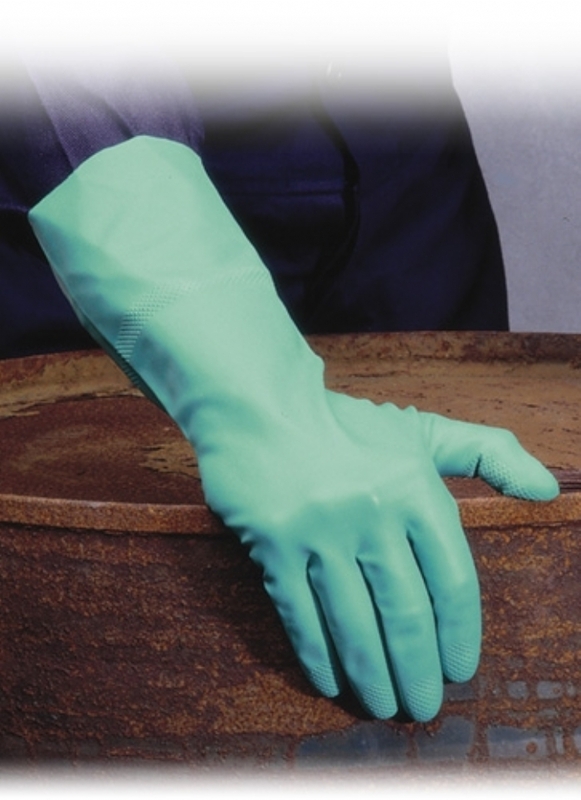 Heavy duty Nitrile gloves flocklined, textured and made from nitrile butadiene. Manufactured and inspected in accordance with the European PPE Directive 89/686/EEC and tested to European Standards EN420, EN388 and EN374. Quality glove designed for high risk applications. •CE Category: Cat III Complex design.